Our aircraft use the call sign ‘Dark Blue’ followed by the flight number, and we’ve named our inflight magazine DARKBLUE JET in honour of the brave Czechoslovak airmen in exile during WWII and the dark-blue uniforms they wore. There’s no end to the pursuit of perfection, and we constantly strive to build upon our basic pillars of safety and comfort. 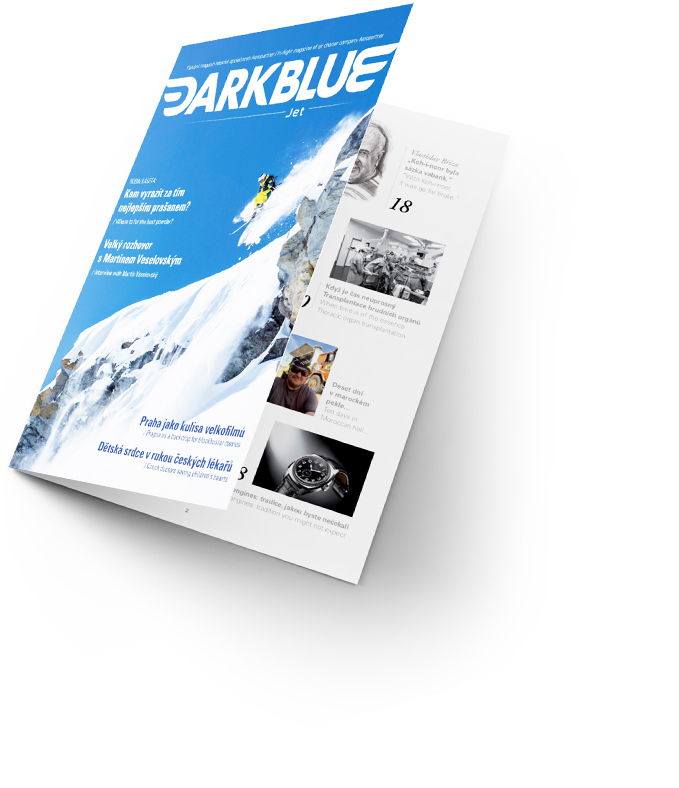 This inflight magazine was created in order to further elevate the level of our services. Prepare to be carried away on the pages of a thoroughly good read – this time online, next time onboard.